I decided to do this a little bit like essiebutton did her 2014 best of: use the things that just popped into my head without digging around. If I don’t remember it, it can’t have been that good and now LET’S GO! My year focussed a lot on skincare, for one I discovered Caroline Hirons and secondly I am just over having problem skin. 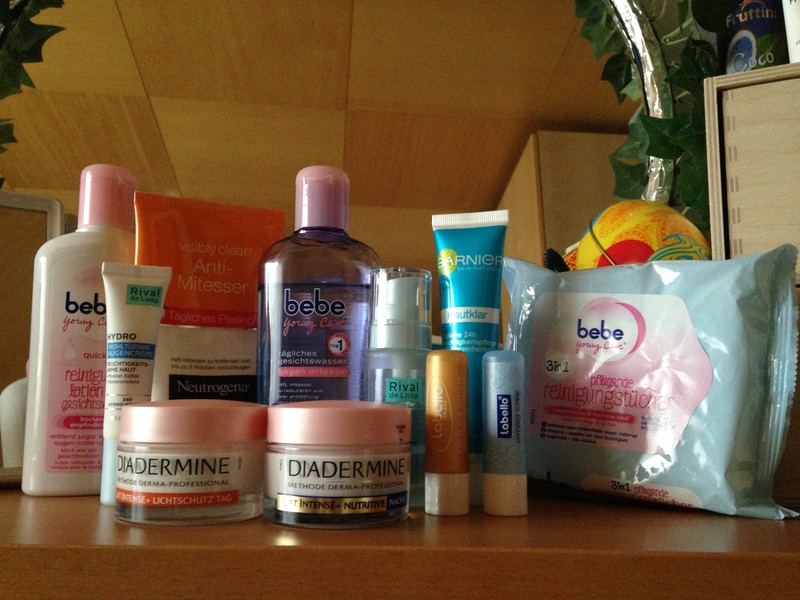 What I learned the hard way this year is that it actually wasn’t the La Roche-Posay Effaclar Duo that sorted out my skin when it was at it’s best but the bebe young care line. Ever since that realization I have come up with a skincare routine that works for me and even holds my hormonal break outs to a minimum. After weeks of having a dry patch on my top lip that just wouldn’t go away and nothing helped I used the brand again that I was certain would not help but it did. My lips are back to normal now , though and I am back to not needing any lip balms all thanks to my ancient Labello Gold and Labello Hydro Care. Everything else may well go to the trash. You will notice that all of this is drugstore. I simply don’t have the budget to fork out on expensive brands, plus this routine works really well for me, at this point I see no need to change anything. The two bases that stood out to me this year were my MAC Face and Body in C1 (still can’t get over how awesome my skin looks in the pics that I took when I wore it) and Max Factor Facefinity in 40 Fresh Ivory. The Facefinity is a special favorite because it makes my skin look incredible and lasts forever. I even wear it to work and despite physical exertion it does not budge. Plus the color is a perfect match. If I could only wear two foundations for the rest of my life it would be those two. After the desaster of the essence I ❤ stage base I was glad I got the Urban Decay Primer Potion samples with my Naked 2 palette. So far I have only used Eden and at this point I would totally shell out the 20€ to get the full size once I have used up the samples. I have been using it since August and there is still a lot left. It is light enough for me and I love the coverage it gives in my eyelids plus it really makes my shadows last between 8 and 10 hrs. With the arrival of Jaclyn Hill and Casey Holmes in my life I completely revamped the way I do my eye make up. Generally I have been gravitating towards neutral eyes this year and my Urban Decay Naked 2 palette as well as the Sleek Au Naturel palette. 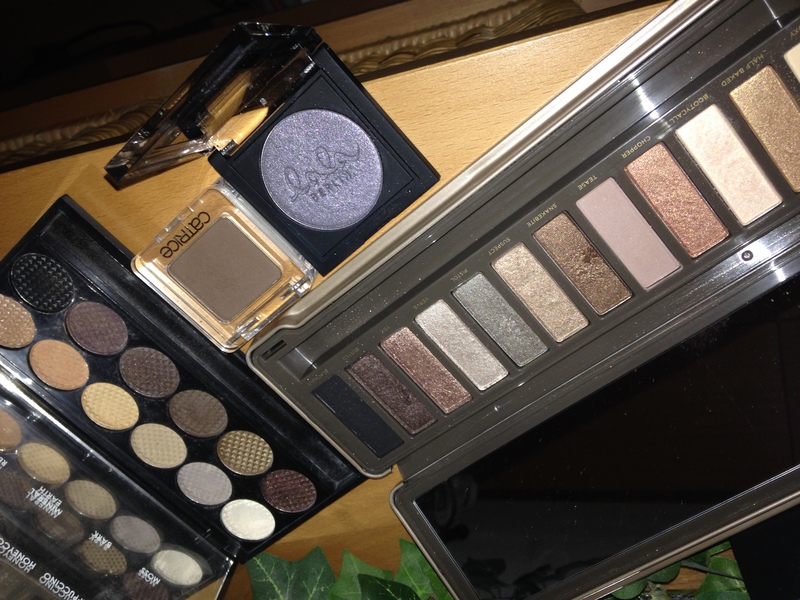 The top row of the Sleek palette has incredible transition/crease shades and I don’t think I have to say anything about the Naked 2 anymore. All has been said. It’s perfect. The single shadows that blew me out of the water this year are both from Catrice. There was Shade of Grey from the Lala Berlin collection, which looks like a metallic shadow in the pan on the lid however it has the most incredible matte but lit from within/softly shimmery finish. I have never seen anything like this before and it is perfect to me. The other one is Go Charlie Brown from the regular range, which is the perfect matte medium brown for the crease. I am a liquid liner gal and the Manhattan Eyemazing liner has been with me for most of the year. I just feel naked without my liner. The Eyemazing liner is really good for a pen and lasted really long without drying in or the tip going blunt. However, I am currently trying another one though, which seems to blow the Eyemazing liner out of the water. We’ll see. I rarely ever use liner on my lower waterline anymore, especially not black. It just doesn’t work for me anymore unless I am doing a heavy duty smoky eye. At best it looks like trying too hard at worst it looks completely inappropriate. My realization of the year is that I am a L’Oréal mascara girl. My favorite is the Miss Manga mascara and I can’t wait to try the Black Angel variety once I have used up my other mascaras. My second favorite this year was the original Volume Million Lashes. Aside from the Catrice Doll Eyes Waterproof I think I have sworn off other mascaras for good. L’Oréal or bust. essence All about matt. Best one I have tried so far. I still have the loose version in my back up drawer (which is gonna last me forever). It’s translucent, finely milled and does what it says on the tin. Because of my freckles there is a lot going on on my skin as is, so overly shimmery blushes are per se not such a good idea for me. For most of the year I stuck with the utterly fantastic MAC Perfect Cheek blush which is indeed perfect: A neutral light pink almost a bit grey which turns into the lightest most natural flush on my fair skin. Towards the end of the year another favorite came in the Catrice Floral OrnARTment blush from the Viennart collection which is a matte light peach with deep reddish elements. The reddish elements I try to avoid for everyday blush because they can come out a little strong against my skin. 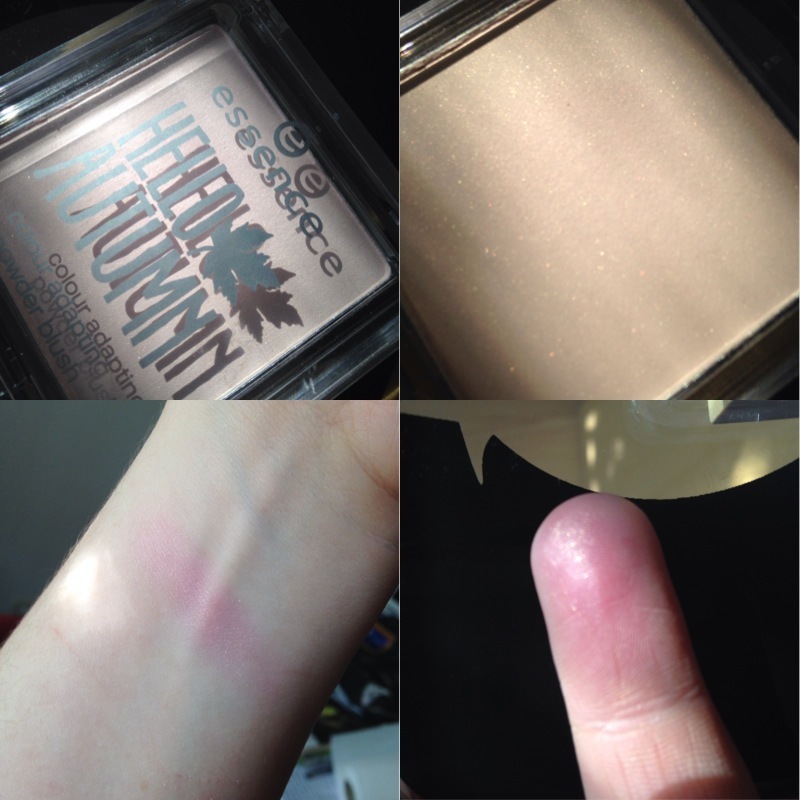 A shimmery one that I loved was the Hello Autumn color changing blush by essence. The shimmer in this one is light and fine enough for me to get away with it. My two bronzers of the year are my MAC Aphrodite’s Shell which is my perfect bronzer, considering how light and sheer it is. It gives me the perfect sunkissed color. 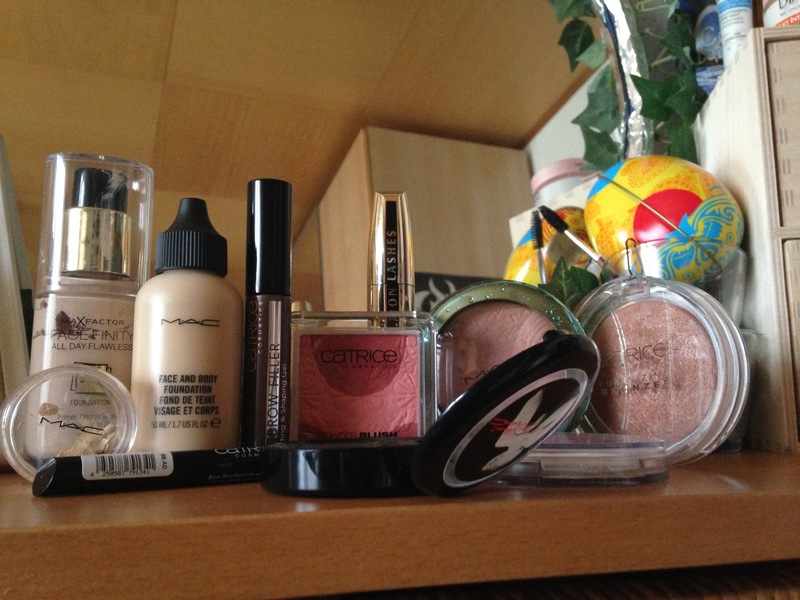 The other one is the Catrice Metallure Bronzer. With a light hand I can avoid shimmery desasters and instead get a soft glowy flush. 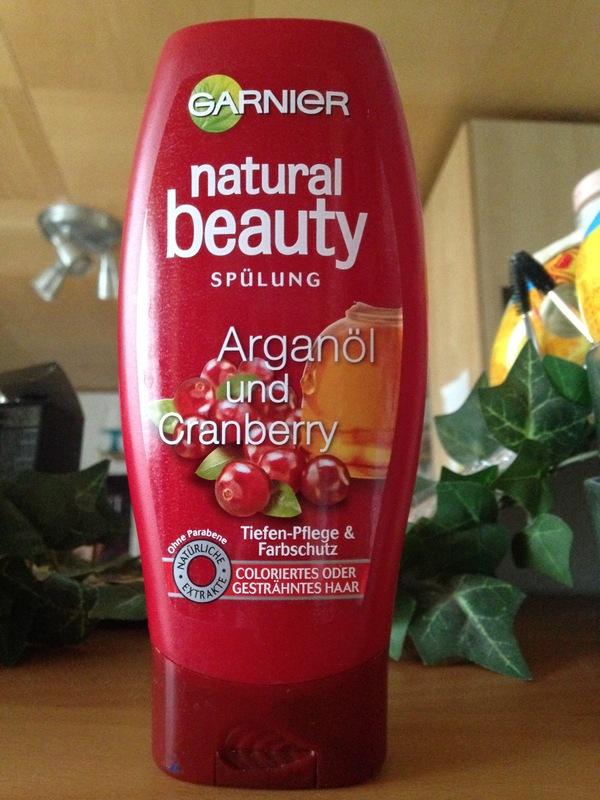 The only thing that stood out to me this year was the Garnier Natural Beauty Cranberry and Argan Oil conditioner. It smells amazing and does the perfect job at keeping my hair healthy, shiny and soft. I think I’m on my second or third bottle right now. And that’s a wrap on the Beauty Awards 2014. No lip products? No lip products! While there were a couple of nice ones there were none that really stood out to me enough that I wore them more than a couple of times. I am thinking about doing a Life Awards 2014 next. We’ll see how that goes.